Want to treat the planet kindly and get a good night’s sleep at the same time? We do, too. That’s why we’re delighted to tell you everything we know about today’s new bamboo mattresses. 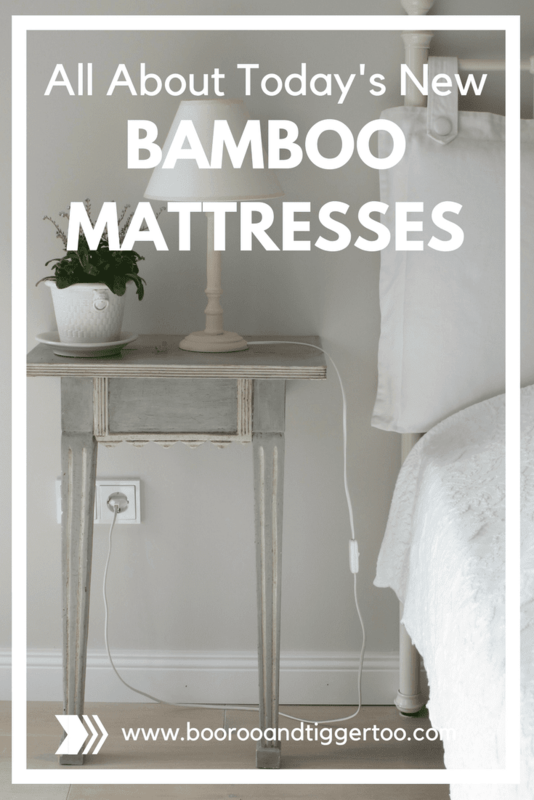 If you’re all about sustainable living and protecting the planet, a bamboo mattress may be just right for you. National Geographic magazine places natural bamboo at the heart of the revolution toward greener, more environmentally friendly products. Able to thrive on every continent except Antarctica, natural bamboo reduces airborne carbon dioxide during its five-year growing cycle while producing more oxygen than most hardwood trees. In fact, bamboo is not a tree at all but rather a sort of grass that can grow as much as two inches in one hour. A bamboo forest is much quicker to renew than any sort of wood-bearing tree forest. If you sweat at night, you’ll be delighted with bamboo’s authentically natural moisture-wicking properties that help you remain dry and cool while you sleep. In addition, bamboo is inherently antibacterial and may reduce the chance of fungus and mites. Folks with allergies appreciate bamboo because it’s super hypoallergenic, explains the Healthy Rest blog. The first thing to consider when shopping for a mattress is support. If you prefer a classic bouncy feel, opt for an innerspring mattress. Heavier humans tend to fare best on an innerspring mattress with 12 gauge coils, whereas lighter people tend to sleep quite well on an innerspring mattress with compressible 18 gauge coils. Coils that are individually wrapped or ‘pocketed’ lessen mattress movement when someone moves on the other side of the bed. Bamboo mattresses may have a foam or fiberfill outer layer covered by quilted fabric. A fluffy pillow top mattress offers exceptional pressure relief, especially for persons who sleep on their side. Stomach sleepers may prefer a firm bamboo mattress, while those who spend most of the night sleeping on their back may prefer an enveloping memory foam mattress. A mattress of any material is a personal choice. What feels great to one person may leave another with an aching back. Michael Magnuson is SEO of an independent mattress review outfit. He told Good Housekeeping magazine that since you can expect to use a mattress every night for at least ten years, it’s worth whatever cost to get a good night’s sleep. How important is sleep, anyway? In a word, very. An adequate amount of slumber is essential to good health. In general, adults require seven to eight hours of quality sleep per night, while teenagers ought to get eight to 11 hours of nightly snooze. Seniors can get away with a bit less sleep, as long as they average five or six hours per night. Newborn babies need the most sleep of all, clocking a whopping 10 to 16 hours of sleep in a 24-hour period. New natural mattress materials, like bamboo, cotton, wool and hemp, found in mattresses sold by specialists like Better Bed Solutions can assist with achieving a better sleeping experience. There are plenty of things that can wreck a good night’s sleep. Fortunately, there are solutions for most of them. Caffeine is a well-known sleep buster. Cease all coffee consumption ten hours before you turn in, and you might sleep a whole lot better. Late-night eating and alcohol use can cause a fitful night’s sleep, too. Try not to nap within 6 hours or your bedtime, and keep daytime naps short and sweet, advises Mayo Clinic. Computers and TVs have no place in a bedroom if you intend to get a great night’s sleep. Dedicate a non-sleeping area of your home to electronics, and chances are good you’ll start sleeping better, deeper, and longer. Move around a bit more during the day, and your sleep is bound to be enhanced. Inactivity is a big sleep buster but one that’s easily avoided with moderate daily exercise. Noise can ruin your nighttime rest, too. Invest in a ‘white noise’ machine or turn on radio very softly. This will give your ears something to focus on instead of ambient outdoor sounds. Make a sleep schedule and stick to it as well as you can. Get up at the same time every morning, and try to tuck yourself in at roughly the same time every night. If light shines through a window, close the curtains or put on a pair of eyeshades. Mind the temperature in your bedroom, too. A too-hot room makes it harder to sleep comfortably. A great night’s snooze not only refreshes your body, but it can also boost your brain power for the next day. Featured article from Kyle Kirk. Kyle Kirk is a hotel manager. Always on the hunt for great bedding and mattresses, he loves to write about what he finds. His articles appear on a number of home and family web sites.